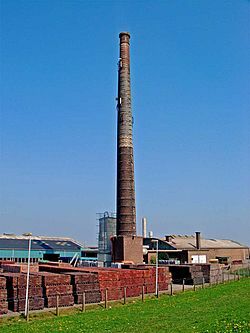 A factory is a building where workers use machines to make things for sale. It usually means a building where companies use mass production to make different things. Many of the same thing are made in a short amount of time. 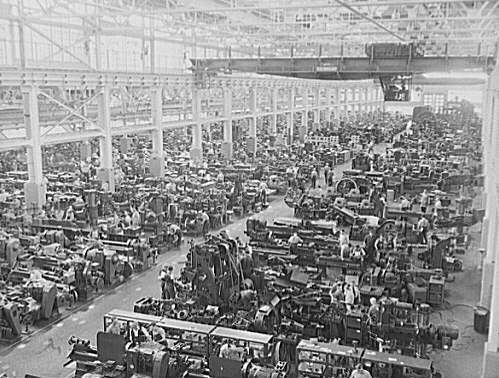 Factories during the industrial revolution had horrible working conditions. Entrance to the Venetian Arsenal by Canaletto, 1732. Interior of the Lyme Regis watermill, UK (14th century). 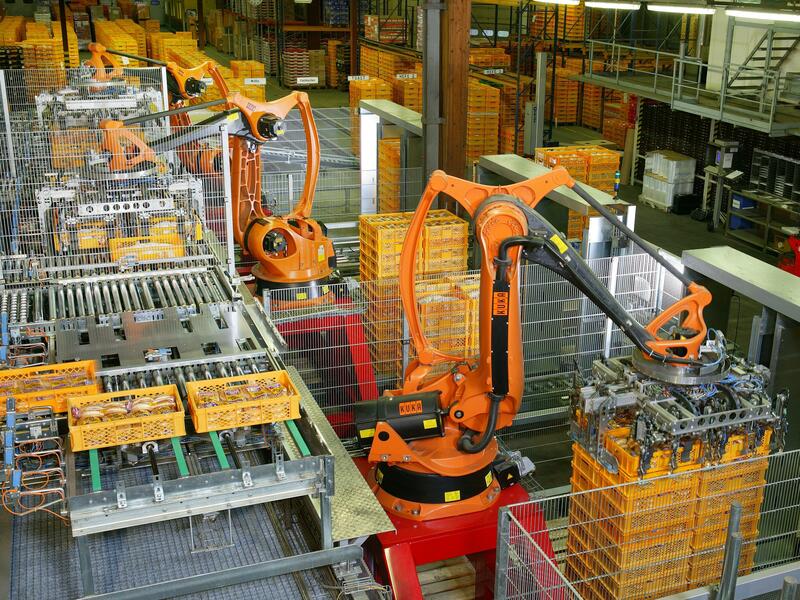 Factory Automation with industrial robots for palletizing food products like bread and toast at a bakery in Germany. A factory worker in 1940s Fort Worth, Texas, United States. Coldharbour Mill textile factory, built in 1799. Factory Facts for Kids. Kiddle Encyclopedia.